The days are getting shorter and the weather turning colder but Wirksworth will be bringing festive cheer to the town with its Christmas Street Market. Enjoy a day out in this historic Derbyshire Dales market town that boasts its own steam railway and celestial amphitheatre and soak up the festive atmosphere whilst finding gifts for all the family. 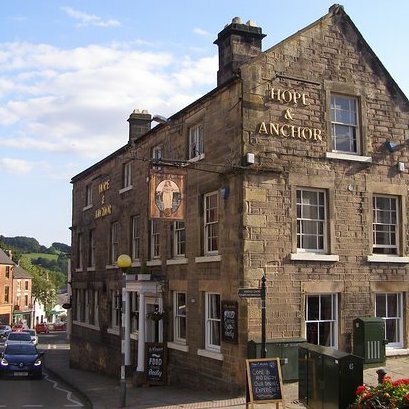 Wirksworth's Christmas Street Market takes place on Sunday 25th November when visitors will be able to browse numerous stalls offering a wide range of goods from local artisans and makers as well as street food. Wirksworth also has a great mix of independent shops including Traid Links, Marsden’s Gift Shop. And when it's time for lunch why not visit one of the cafes in the town such as Mercia, Le Mistral, Hope & Anchor. Here at Upcycled Creative we will be open all weekend offering one of a kind, unusual gifts. Stand out from the crowd with our eye-catching yet functional furniture or brighten up dull days with quirky lighting. With so much more for sale in our Wirksworth shop we're sure to have something even for the person who has everything! But if there's still nothing that quite fits the bill then why not commission your own bespoke item? Whether it's an item of sentimental value or a family heirloom lying forgotten in the attic, Upcycled Creative can give old items a new lease of life. If, on the other hand, your family and friends are the creative type then a gift voucher from Upcycled Creative would make the perfect present. We offer one day furniture painting and modern upholstery workshops throughout the year with lunch included too.